Smart design, install and service intruder / burglar alarm systems, based from our head office in Calne, Wiltshire. Our intruder systems are bespoke and we utilise the very latest systems such as Risco LightSys, Honeywell Galaxy, Guardall, Texecom and Pyronix. We are NSi accredited and grading to NSi European EN50131 standard and ACPO is achieved, including remote monitoring to allow automated response by keyholders and Police. Many systems are linked back to a control system and can be monitored by security guards or via our remote central station, allowing them once the alarm is activated to act accordingly. Use our SMART Phone Apps to monitor your home, giving you full control remotely, whether at work or on holiday. 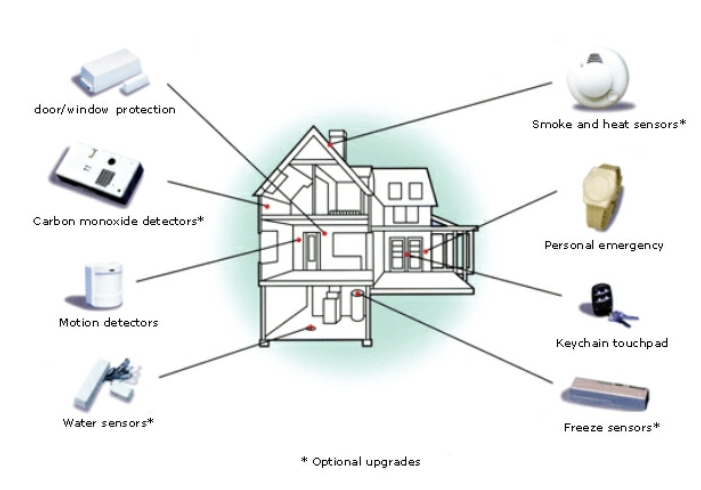 Our wireless systems remove the need for cabling throughout your property and give you the added benefits of remote wireless ancillary devices including smoke detectors and panic fobs. 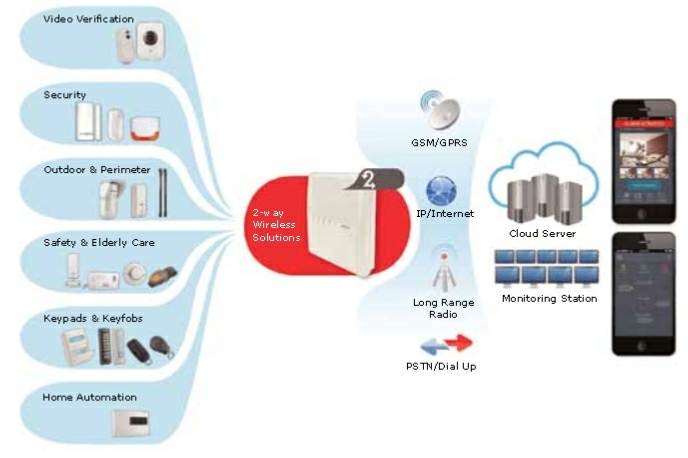 Our systems can interconnect with a wide variety of devices to ensure that you get much more than just a security alarm system.